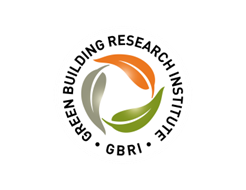 USGBC-Illinois has partnered with GBRI to offer this great, 2-hour, LIVE webinar on December 16. Join us to learn everything you need to know Recharge, Renew and Rejuvenate your existing building - and earn your LEED-specific continuing education credits, too! Representing 95 percent of the built environment, existing buildings present enormous opportunities to green the environment. They cannot be ignored if real progress is to be made. Many existing buildings do not perform well in terms of energy and water consumption and fail to provide a healthy environment for occupants. This course discusses the analyzation process for determining whether existing buildings should be renovated or torn down and rebuilt from the ground up. It identifies and explores cost effective strategies and cutting edge technologies that can recharge, renew and rejuvenate an existing building. The course also looks at LEED v4 requirements for Existing Buildings and considers the future of existing buildings in light of growing environmental challenges. Compare the impact and role of existing buildings to new construction as it pertains to the triple bottom line. Understand the need of rejuvenating existing buildings & LEED v4 requirements for EB. Analyze simple cost effective strategies to renew existing buildings including case studies. Discuss cutting edge technologies to rejuvenate existing buildings including case studies. Analyze future opportunities for existing buildings. Can't attend this LIVE session? You can always find this webinar and more on-demand through the Education@USGBC webinar subscription.